Shifting Gears with Aaron Kaufman is an American 60 minute reality television series, which kicked off on March 5, 2018, on Discovery Channel and is broadcast every Monday at 21:00. The show is currently in its 2nd season. 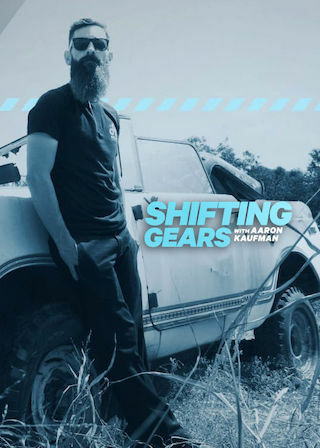 Discovery Channel is yet to announce the renewal of Shifting Gears with Aaron Kaufman for Season 3 as well as its cancelation. Sign up to track down the show's status and its release date. Redefining the custom car building space, Aaron Kaufman is pushing his design abilities to the limits and focusing on vehicle builds driven by passion. Taking on concepts and builds he's always dreamed of, Aaron will extend his skills in spaces he's never worked in before and with different types of vehicles.